NEED TO RESET YOUR HEALTH? EDITOR’S NOTE The New Year is upon us. Did you make your fitness resolution to make it to the gym six days a week yet? How about doing the latest fad diet or not having any chocolate except for every 3rd Tuesday? If you were like most people, this is what you were likely pondering the last couple days of 2014. If you were like most people, by the time February comes around you’re back to your old routine of sitting by the TV after work with a bag of Cheetos and a fizzy beverage. But you’re not like most people. This year, you’re not going to make a fitness resolution, or take a diet that you know you can’t stick to (I mean, who doesn’t want to have a little chocolate from time to time). This year you’re not going to make a resolution, you’re simply going to make a lifestyle change that will lead to the best version of you. Maybe that means, you’re going to join that cool new fitness group or running club you always meant to check out. Maybe that means that you’re going to try to introduce some healthy alternatives into your lunch bag at work rather than heading out for fast food. Maybe you’re going to check out a yoga class and bring a friend or two to help you keep your commitment to going. Whatever you choose, do something that you know will work for you. Don’t make a resolution. Make a lifestyle change. Yes. You’re going to have a bump in the road. That spring wedding with the amazing Crème Brule dessert and the week of -30C temperatures in February where you don’t make it to yoga is going to happen. But that’s ok. You are on a wellness journey and with every journey, there are bound to be roadblocks. This month, we’ve put together a group of stories that will help keep you focused and even give you some new fitness options to try. If you’re participating in our Fitness Pass in January, we hope to see you out at some of the studios and we’ll have some prizes to help reward you for getting out there. If you didn’t pick one up, follow along on Twitter as we showcase the different studios and there’s always our Spring Into Fitness Pass coming in March for you to try out some new places. In the end, you’ve made a commitment to good health and that’s the first step towards making your lifestyle change. We’ll be here online and on social media to keep you focused and motivated throughout the year. This year isn’t about making a fitness resolution. It’s about making the best you possible. If you are going to be heading outdoors to keep fit, it’s quite easy to keep warm. Dressing in layers and using some great moisture wicking fabrics allow you to keep your body heat in while absorbing the sweat before you have a chance to get a chill. Companies like MEC and the Running Room offer their customers great information sessions and products to keep you moving in the beautiful outdoors this winter. Yes, I know that sounds insane coming from a person who lives in a place where there is snow on the ground 6 months out of the year and the thermometer rarely gets above zero during that time. I love this city, but I hate the cold. And I’m sure that I’m not the only one. Winter is typically that time of the year when people tend to stay inside more and pack on a few extra pounds while doing so. The cold days and snowy roads offer us another excuse not to head to the gym or go outdoors for a run. Cozying up by the fire with a book and a cup of coffee sounds better that braving the icy roads and bitter temperatures. So how does one stay fit during these cold winter months? During the warm days of summer, there are plenty of outdoor activities to stay in shape, but there are just as many fun things to do outdoors in the winter as there are in the summer. Even if you’re a baby like me and hate the frigid temperatures. Cross-Country + Downhill Skiing. Both are great ways for you to burn calories while having fun outdoors. Our river valley and nearby Elk Island National Park offer great trails for cross country enthusiasts and once youâ&#x20AC;&#x2122;ve got your winter legs back, consider trying the Canadian Birkebeiner Ski Festival. There are also a number of great local downhill ski and snowboard areas, as well as the resorts in Banff and Jasper, which are under a four-hour drive. If youâ&#x20AC;&#x2122;ve never tried either activity, there are some local outfitting companies offering rentals so you can try the sport out before committing to purchasing equipment. SNowshoeing. Exploring the river valley trains doesnâ&#x20AC;&#x2122;t have to end with the coming of winter. Snowshoeing is super easy to do, tons of fun and offers a great workout. Edmonton has some really great snowshoeing spots to visit and itâ&#x20AC;&#x2122;s a really inexpensive activity to check out this winter. Check the City of Edmonton website for locations to check out and if you feel like making a road trip, try out the Strathcona Wilderness Center just east of the city. Just like ski equipment, local outfitters like Totem and MEC offer great rates for rental or purchase. Mix In Something New Indoors. If heading to the gym gets you down in the winter, dreading doing the same routine day in and day out, try out a new activity. Edmonton has so many options to choose from. Spin classes are a great group activity to stay fit and keep you sweating. Barre studios offer a great calorie burner and get you working muscles you never thought you had. Yoga and Pilates give you one of the best ways to escape mentally while enjoying an amazing workout and a hot yoga class offers great relief from the cold outdoors. outdoor fitness classes. There might not be as many as there are during the summer, but they still exist. Groups like November Project keep up their regular schedule during the winter months. Meeting on Monday, Wednesday and Friday mornings, this awesome free fitness group keeps participants active during the winter months and incorporates some fun while youâ&#x20AC;&#x2122;re at it including tobbaggoning and other fun group fitness activities. If youâ&#x20AC;&#x2122;re still not finding it easy to keep in shape during the winter months, there are even easier ways to stay active. Rather than taking the elevator at work, use the stairs. Check out the website uwalk.ca for simple ways to keep moving during the day. Get up a little earlier in the morning to do a simple bodyweight workout before jumping in the shower. Encourage your friends to be more active and live a healthier lifestyle to motivate each other to keep fit during the colder days. So now you see. Staying fit during the winter may take a little more planning and initiative than during the summer. You might have to get out of your habit of the day to day fitness routine you had during the summer months, but with a little planning and some creativity, keeping active this winter can be a lot of fun. The growing trend of having a home gym goes above and beyond that one piece of cardio equipment parked in the spare room. With the variety of training regimes and the sole fact that everyone is different, choosing a home gym to suit your needs is an excellent investment in your health. The possibilities are endless, and can be customized to fit most budgets. At Lucki’s, we have qualified personnel on-hand to help customize your needs. Please come by and see us as we are here to help you with a healthier you for 2015! “Just as you would take your car to a mechanic, you would take your body to Joga to find out what the malfunction is.” - Jana Webb. Jana Webb created an athletic style of yoga known as Joga. The Joga program uses the mechanics found in athletic movements to help enhance performance and prevent injuries. Joga is designed to give us the knowledge and tools to find our weaknesses and improve on them. Designed in four segments, with each segment building onto the next or standing alone. Each segment has benchmark postures that athletes can use to feel and see results. Three components make up Joga: postures, breathing techniques, and relaxation. The Postures Athletes need some tightness in their bodies for the explosive movements found in sports. All of the long holds found in traditional yoga can cause the muscles to become over stretched this makes it difficult for our neurosystem to keep up with the stretch causing a player to come out flat. Unlike the long postural holds found in yoga, Joga uses more movement to create muscle memories within the body and dynamic stretching that works within an athletes range of motion. Joga works to find a balance between strength and flexibility giving an athlete more power with a body less susceptible to injury. Within each posture specific anatomical cues are used to find symmetry in the body so it can operate more efficiently. When there are imbalances anatomically muscles become fragile causing other muscles to compensate for them which increases the likelihood of injury. Starting with our ankles and working kinetically to our wrists we can build joint stability and improve mobility, decreasing compensation and permitting more efficient movement. Breathing Techniques The Joga program uses breath and core mechanics to power each movement, enabling athletes to increase their range of motion and to find a balance between the mind and body. When finding alignment in our bodies Joga uses stretched breath control techniques to increase lung capacity, channel more Oxygen in to our blood flow, and release Carbon Dioxide and Monoxide from our muscle fibers. This will increase muscle recovery rate and enhance performance. When an athlete engages in sports their sympathetic nervous system is constantly activated. Our sympathetic nervous system is responsible for our exertion response (fight or flight). Therefore, after a game the fight or flight response that was triggered repeatedly makes it difficult for your body to relax and sleep. Our relaxation response comes from our parasympatetic nervous system; our right side of the brain. While both systems are always working, finding a balance or a homesostatic state between the two is key to good health. Those who predominately activate their sympathetic nervous system will have high levels of stress hormone or cortisol released into their bodies. Resulting in high blood pressure, increase blood sugar, decreased immunity and muscle tissue to name a few. All of which contribute to a body more prone to injuries. Joga uses deep belly and chest breathing techniques to create a homeostatic state in our mind and body to help decrease the chance of injury and allow the body to relax and recover more effectively. Insurance products and services distributed through I.G. Insurance Services Inc. Insurance license sponsored by The Great-West Life Assurance Company. Investors Group Trust Co. Ltd. is a federally regulated trust company and the mortgagee. Mortgages are offered through I.G. Investment Management, Ltd. Inquiries will be referred to a Mortgage Planning (Agent) Specialist. The New Year is upon us. For many, it is a time of renewal and growth. A time to create goals for the coming year and to put those goals into action by setting a plan. For many however, the New Year brings stress and uncertainty due to poor spending habits over the Christmas season. Wellness is about more than just nutrition and exercise. It is about being well mentally in addition to physically. To help our reader plan for the upcoming year, we contacted financial planner Kelsey Watt from Investors Group for some good financial advice. 1. What are some of the common financial problems people face after Christmas? A common problem people face after Christmas is dealing with the sobering reality of debt after the exhilaration of gift-giving and receiving. This reality is from people’s over-spending, usually when “caught up in the moment”, then dealing with the debt cycle that can affect your financial goals, whether short or long term. 3. What are some of the reasons people run into financial problems? Advice is important to ensure that people are not over spending their cash flow on today’s needs at the expense of future savings. A lot of stress can be created based around personal finances and where or what to do; not having any advice can be a source of turmoil. Research shows that Canadians who rely on professional advice (in the blue) to guide their financial decisions are wealthier, more confident and better prepared for major life events than those who do not have the benefit of advice. 4. What can people do to take better care of their finances? 2. How can the use of a financial planner help reduce or prevent these stresses? People run into financial problems for a variety of reasons and it’s called life. There are many moving parts when it comes to finances and as life happens, you need a financial plan that changes with you. Staying “in the dark” or “I’ll get to it later” mentality can be costly. Awareness is key. You can either have results or you can have excuses, you can’t have both. Instead of the traditional get fit resolution that always plays on the back of your mind, why donâ&#x20AC;&#x2122;t you commit to doing it this year but this time get the whole family involved! Here are some ideas to make it easy for you to take action. Whether you have wee ones or teenagers, find a class that you can do together. From strollercize to karate to cycling to Zumba, there’s a range of classes and facilities that allow for the whole family to get involved. Some facilities may advertise directly, especially in terms of classes catering to new Moms and Dads or littles under three. But many studios may offer classes that both parents and youth can attend. Often it just takes a quick phone call to the facility to see if their classes are appropriate. As an aside, please note that tween and teen body alignment and sizing may not be as good as an adult. Special attention needs to be given to technique and equipment, ensuring that it can be sized properly (for example some indoor cycling bikes are not properly suited for tweens due to sizing). Always ask to meet with the instructor before the first class to ensure your needs can be properly met. Edmonton has some great rock climbing facilities such as Vertically Inclined Rock Gym or Climbing Wall at the University of Alberta. Climbing can be a great full body workout and an excellent way to bond and build trust as a family. Who knows, it may even lead to some excursions to the Rockies! If heights aren’t your thing, why not spend an hour or two jumping around! Visit Launch Pad in Edmonton and show your kids that Mom and Dad are always up for a little fun! Bet your abdominals get a dual workout from all the laughter that’s bound to ensue! Visit any of our City Recreation Centres for family swim or gym time. Just make sure that you’re not sitting on the sidelines. Climb the stairs to slide down, have fun races or see who can do the best handstand (underwater or not). This activity almost always guarantees you an easy bedtime, which of course makes it a great choice!! If group classes aren’t your thing, how about partnering up for some Personal Training. Workout with your kids, under the guidance of a fitness professional. Even if you have different goals a fitness pro will be able to design sessions that are safe, effective, fun and efficient. In case you haven’t caught on, the theme of this resolution is choosing activities that are FUN. Why not declare Sunday (family) Fun-day! Try a new activity or partake in your favourites. Ideas include ice skating, horse back riding, hiking, snow shoeing, dance parties (in your living room of course), tobogganing, bike rides, nature walks, water slides, basketball, street hockey, badminton and more! What activities can you think of? We’d love to have you share. Tweet us at @YegFit and @infinitefit and let us know how you’re keeping fit with your family in 2015. How can I stay in shape during the winter months? The real thing is to have at the drive to do something that you really want to do. You’ll have better exercise adherence if you’re doing something that you really looking forward to. You’re likely to do better if it’s something that’s enjoyable to you. For young parents being around their children is really exciting for them. Since you’re working so often trying to find time to be with your children and stay fit, you can kill two birds with one stone. I would say the best thing for parents to do is to just go tobaggoning. Dragging kids up the hill so they can slide back down is an incredible workout. You’re getting a workout, they’re having fun and you’re enjoying the outdoors together. You’re going outside in Canada is really silly because you can really dress for anything. It’s about educating yourself on proper layering and once you get used to the movement you’ll find you’re getting quite warm. Often I find that I’m removing layers after I start exercising. If you have a piece of equipment try exercising indoors for 10 minutes to get your core temperature up. Then when you go outside the initial impact won’t be that great. Learning a skill with your kids is fantastic. Taking up a sport like cross-country skiing or snowshoeing would be something that simple to do. You can even rent equipment at a variety of places. Spending weekends in the mountains with your family is a wonderful way to do this. There are plenty of places like Kananaskis where you can rent equipment and there’s even a chalet see you could just venture out a couple of kilometers and come back. Weekend trips like that are phenomenal. A lot of people give the excuse that they don’t really have a lot of time. And if you really look at it, that’s not a legitimate reason. It’s really about managing time and managing comfort and having people in your environment that support you to make it easier and find something that you like to do. You want also think about the future. Think about the functionality you want to have when you age. Because if you don’t take care of yourself now it just gets worse and worse with every year of your life. And then you get to a point where you’re depending on other people to take care of you and you’ll no longer be able to be independent. I’ve taken a long time off of fitness and I don’t have a lot of time in my schedule. What are some ways to get into shape with a limited amount of time? If time is an issue for yourself, then you’re going to have to do it first thing in the morning. The research shows better exercise adherence first thing in the morning because then if something happens during your day you won’t be distracted and put off your workout. So try to plan on getting up a half hour earlier and coming up with the routine that was designed by a trainer that takes into account your functionality and fitness. You can do exercises with dumbbells or bodyweight where you do a series of 10 exercises on after the other that would take maybe 10 minutes. You can do three sets of that and get a great circuit workout. If time was an issue than you can get this done in 30 minutes and be off on your way to start your day. It’s all about lifestyle and for young parents being around their kids is so enjoyable. The only problem with this is that you have to be very motivated. It’s pretty tough to get out of a warm bed first thing in the morning to get up and work out all by yourself. What tips do you have for a person to keep their fitness goals lasting the whole year? You’re better off getting together with a group of people who are motivated to helping you get in shape. Also, using your weekends more wisely. You’ve got to develop a comfort level with what your body can do and what it looks like. Everybody has different comfort levels. For some people they gain 5 pounds and they lose their mind. They’re eating cleaner and are exercising more. For others they need to gain 10 pounds or 20 pounds before something goes off in their heads. Once you develop that self-motivation to stay in shape you don’t really get too far out of that comfort zone. This is a really complex issue. It would also be a good idea to take time in the middle of your day to break up your schedule and do your 30 minute workout during three 10 minute segments. This works really well for people who are overweight. Studies show they can burn more calories with three 10 minute workouts rather than in a straight 30 minute session because they lack the stamina to be able to maintain the intensity of a 30 minute session. So somebody could work out 10 minutes in the morning, 10 in the afternoon and 10 at night to break up their workout and burn more calories. If you need to motivate yourself to stay in shape throughout the year then sign-up for Spartan race or something like that that they offer in the summertime. There are Gran Fondos for biking which are like bike marathons. These are great if you’re biking enthusiast. There are 5K races. There are also fun things like zombie races, the Turkey trot, and fundraisers like the Terry Fox run. Registering for things like this can keep you on track. You need to find out the underlying reason why you’re not keeping fit and healthy. And that’s a complex thing where you need to sit down with the trainer and other people in your life to investigate the answer. A new year usually means health and fitness resolutions. Many seek help from personal trainers, which is a great investment into accountability, motivation, form, effectiveness, and efficiency. somewhere). If they have a solid education and certification, experience might not be an issue for you (this leads to the next point). The good news? There are so many fantastic trainers out there. The bad news? The health and fitness industry is a billion dollar industry, making it easy for anyone to get ‘certified’ as a personal trainer. Certifications are available to anyone over a weekend or online in hours and that means there are many bad personal trainers out there. Trainers that lack proper and thorough education can potentially injure a client, or create a bad experience for the client, and this makes it bad for good trainers out there. Ask for references from current or previous clients. Even trainers with minimal experience will have references. Talking to someone who has worked with the trainer can give you valuable information that you might not get directly from the trainer. Since their initial education or certification have they continued to learn, grow, evolve? A trainer that is always learning is one that that is passionate about their clients and career. They are always seeking to add more tools to the toolbox and seeking to be better, so they can further help their clients. Now that you have interviewed the trainer and have found a solid education and background, what characteristics in the trainer should you look for? You are not hiring them to tell you what you want to hear; it’s about what you NEED to hear. Sometimes you don’t want to hear what they have to say, but you have hired them to help you identify strengths and weaknesses in your body and lifestyle; and sometimes the truth hurts. There is nothing worse than coming into a session after a tough day, and your trainer is a dull, sad panda. Their energy should make you want to be there, to push and work harder (and have fun doing it!). Let’s face it, being able to smile and laugh in a challenging training session can make it a little less awful, especially when it comes to doing stuff you do not necessarily like (but need). Exercise can be fun while working hard, maintaining proper form and focus! Where did they receive education and/or certification? Is it accredited? Google is your friend -- look into their certification and education to make sure it is legit. They learn about you, your lifestyle and goals and then create training around that, and not force you into a program that is unrealistic. During the session, their focus is on you, not their cell phones, other people in the gym, or shiny objects passing by. How can they help you if they don’t pay attention to you? They are on time, dress appropriately, follow up with emails/texts/calls regarding your sessions promptly, treat you with respect and talk to you like an adult. Also, they leave their personal drama at home. At the end of the day, it comes down to BUYER BEWARE. Take the trainer for a test drive before committing to 100 sessions. Buy a few sessions first to make sure it’s a fit! They are easy to approach with concerns or questions. Nothing is worse than a trainer that is so scary and serious that you are scared to ask questions. Open Mindedness. Trainers should be open to other training protocols and what fits for YOU. There is no ONE right way – it always depends on the client. They are good at solving problems or at least TRY to solve problems. They are not scared to say ‘I don’t know’ but will look it up or ask a peer for the answer. They refer out. Trainers are not doctors – if they see a problem outside of the scope of our expertise, then they should urge you to see a professional. Make Exercise Part of Your Routine Exercise should be a regular part of your day, not something sporadic. Just as you set aside time for meals, sleep, kids and work, set aside time for exercise. The best way for a trainer to relate to and coach a client is by experiencing it themselves. They should practice what they preach and live a healthy, fit and balanced lifestyle that is consistent with what they are trying to get you to do. Portraits, Events, Memories... Let us capture yours. Vividly. Join hundreds of women and men as they sweat, laugh, squat and lunge it out through six energizing fitness sessions while raising valuable funds for the Cross Cancer Institute. dysfunction. In order to accomplish this, needles are inserted into the muscle(s) affected by neuropathy (the victim) as well as the muscles adjacent to the spine that are compressing the spinal segments (the culprit) and irritating the nerves that result in neuropathic pain. Thirdly, IMS enacts a chemical effect by causing a small controlled micro trauma to the targeted tissues. The trauma causes micro bleeding and an inflammatory response that introduces growth factors that can correct chemical levels of the affected area and promote healing. The mechanical, neural, and chemical effects of IMS often give rise to a feeling of soreness or stiffness that can persist for as much as 24 hours post-treatment. This is quite normal and is not indicative of a poor response. Treatment frequency is largely patient dependent and many patients notice considerable relief with only a few treatments. How is IMS different than Acupuncture or Dry Needling? All three techniques use a standard acupuncture needle; however, the theory and technique behind each method is considerably different. First, IMS is designed to treat musculoskeletal pain of a neuropathic origin. IMS will not treat non-musculoskeletal conditions, which are better addressed by acupuncture. Second, the targeted tissues for IMS treatment do not follow acupuncture meridians or channels. A third key difference is that with acupuncture, multiple needles are typically left in the body for 15-30 minutes, whereas IMS uses one needle that is inserted, removed, then re-inserted into target areas multiple times to generate an appropriate response. IMS and dry needling share some commonalities. Dry needling is largely based off the work of Dr. Gunn and trigger point research pioneers Dr. Janet Travell and Dr. David Simons. Both IMS and dry needling involve similar treatment techniques; however, the theoretical paradigm of IMS is more focused on neuropathic pain compared to dry needling. Lastly, whereas IMS as taught per the Gunn technique is only practiced by physiotherapists and physicians, dry needling is practiced by many health disciplines, including physiotherapists and chiropractors. Is IMS Effective? Yes. In fact, whether you receive acupuncture, IMS, or dry needling, there is medical evidence of its benefits. Anecdotally, I find IMS to be the â&#x20AC;&#x153;best tool in my tool boxâ&#x20AC;? to help clients improve function and decrease pain when combined with a rehab program that meets their unique needs and goals. However, interventions that use needles are not for everyone nor are they for every condition. For more information about IMS, visit www.istop.org or www.ubcgunnims.com. by Tj Sadler I was sixteen or seventeen the first time I was introduced to boxing. I mean, I’d watched Ali and Tyson on TV as a boy, but this was the first time I’d ever put on the gloves and headgear and sparred with someone other than stupid teenage fights in the schoolyard. One of my friends had the equipment and after claiming that my workouts in the gym and ability to squat or benchpress more than he could, he challenged me to last just one round with him. I don’t remember much of the next two and a half minutes before I found myself on the ground sucking air after being chased around the ring trying to duck his punches while attempting to get in a few of my own. It was by far the hardest workout I’ve ever had. From the time we started YEG Fitness, I’d been hearing about local boxer Jelena Mrdjenovich. Shara Vigeant from SVPT Fitness and Athletics had been training her and was full of praise for Edmonton’s very own WBC Featherweight Champion. She invited us to check out her bout on September 12 against Marilyn Hernandez and after watching her stop the challenger at the end of the sixth round, we understood why the Shaw Conference Center was packed with Jelena supporters. Mrdjenovich didn’t come to boxing in the traditional way. Born in Hay River in the Northwest Territories, Mrdjenovich played basketball for the University of Alberta and tore her ACL. While recovering, she watched boxing on TV and her father suggested that she might find it a good sport. She headed to the gym once she had healed up, and never looked back. Since turning pro, she’s gone on to collect 33 victories in 43 bouts becoming the 6 time WBC Featherweight Champion. During her bout against Hernandez, the thing that really got my attention was not only how tough this athlete was, but also her level of physical fitness. Throughout the bout, Jelena battled like the champion she is taking blows and dishing out punishment in return. After several rounds of shots to the body, Jelena’s power was too much for Hernandez to take, forcing her to retire in her corner prior to coming out for the seventh round. Shara and Jelena work on protocols that vary from camp to camp to make her a well rounded athlete - acceleration, change of direction, strength, power and of course, conditioning. “Since Jelena gets bored quickly, I make sure there is a variety of challenge in her program, while still keeping the foundational work there,” says Shara. It’s easy to see why Jelena has built such a fan base. She’s a tenacious, entertaining fighter to watch. She’s focused and has surrounded herself with some of the best trainers in the business. THREE WAYS FITNESS MAKES YOU BETTER AT LIFE by Shawna Dirksen It’s a brand new year and, for many of us, that means a brand new fitness routine. After a bit too much holiday cheer, it’s time to buckle down and get serious about our health. For most, that means setting some fresh fitness goals and resolving to complete them before the clock strikes midnight on December 31. Your workout’s mood-boosting effect typically lasts a few hours, which is plenty of time for you to project your positivity online or otherwise. “When we’re happy, life is just better. We connect with people more easily and the glass is always half-full, so life’s challenges don’t seem so stressful,” Robyn says. In past years, my fitness resolutions would include things like dropping the 6 to 8 pounds I’d picked up after three weeks of red wine, Ferrero Rocher chocolates and Baileys-rich coffee; losing an inch or two of body fat so my favourite pre-holiday-party skinny jeans stop reminding me of sausage casings; and toning up my arms to finally (even slightly) resemble Fergie’s in her Fergalicious video, which has been shamelessly inspiring me to work out since ’07. to be hit in the stomach - it’s easier to get the right muscles firing. One quick check is to place your fingers just above your ASIS, or the prominent hip bone at the front of your pelvis; you should feel your muscle pop into your fingers as you brace. Another crucial aspect is to breathe through your exercises as you maintain a braced core. Often there is a disassociation with core activation and breathing, this is often why people tend to “forget” to breathe with high physical exertion or with more challenging exercises. Many exercises, such as sit-ups, certainly work the abdominals; however, they don’t challenge the core in the way that it is meant to function and they cause a lot of spinal compression. It’s important to choose core exercises that instill proper bracing and breathing while incorporating a challenge in stability through movement of the limbs. Dr. Stu McGill at the University of Waterloo is one of the experts in spinal mechanics and has come up with the “Big Three” exercises that challenge the core with minimal compression of the spine; these are the Crunch, Bird Dog and Side Bridge. Give Yourself Permission to Spend Time on “You” Many adults juggling work and family life find it difficult to justify taking time for exercise, as that’s time that could be spent with family, running errands or getting ahead at work. If you fall into this mindset, it’s time to give yourself permission to exercise. Here are some efficient core exercises to try. Brace prior to coming up. The movement should be very slight. Your neck and shoulders should move as a unit - this is not a neck curl! The key here is to prevent your pelvis from tilting, keeping it steady and parallel to the floor as you transition between arms and legs. If you find alternating the arms and legs too challenging or you are not able to maintain a rigid core while breathing, then try just moving one arm or one leg at a time. Make sure you are not sinking on your supporting shoulder, you can rest your knees on the floor if you find this challenging at first. To progress this exercise, transition to a plank (without coming into a pike position) before switching to the other side. Here you are actively contracting all of your muscles! Think about tightening your quads, glutes, core and muscles between your shoulder blades. Holding a plank position can be used as a measure of core endurance, but try doing 8-10 second holds and dropping quickly between reps, similar to a push-up. Another variation would be to extend one arm at a time while making sure your body stays steady and level. FOAM ROLLER Using a foam roller is a great way to include your core in some of your basic exercises and allows you the opportunity to focus on proper bracing and breathing. Lie lengthwise on the foam roller and perform a pelvic tilt so that your low back is flat against the roller. Here you can try basic marching, or grab some weights and do some simple bench presses, arm raises or push-up plus. Lie on your back with your hips and knees at 90 degrees, then place a large exercise ball between your thighs and your straight arms. Perform a pelvic tilt again so that your back is flat against the floor and squeeze the ball between your arms and thighs. Donâ&#x20AC;&#x2122;t forget to breathe! This exercise can be progressed by moving one arm back, one leg back, then opposite legs and arms. Try not to bend your back too much and breathe steadily as you roll the ball around in small circles using your arms. It takes approximately 8 seconds of muscle contraction for it to use up its oxygen supply, which is why I recommend 8 second holds for isometric core exercises. Have a safe and happy New Year! A new focus is emerging in the world of work. The times of work and well-being as separate entities are changing. The line is blurring. This makes sense for many reasons. One reason is that in reality, a person’s well-being and personal life are intricately intertwined with their work life. If a person isn’t feeling well and balanced in their personal life, it can be challenging to leave that at home and go to work. Another reason is that if an employee‘s well-being is being negatively affected by their work and/or workplace, that can have a ripple effect into other elements of their work and life. For instance, their productivity may go down, they may spread negativity to their coworkers, or they may leave to go work at a new workplace that promises to be healthier for the individual. If a company wants to run a healthy, happy, strong company that keeps and attracts good people, implementing a wellness initiative really is the way to go. I’m glad that wellness initiatives are finding their way into more of today’s workplaces. Employers and employees benefit when employees are well! It is such a rewarding type of work to be in. When I launched Vitalize Initiatives Inc. in 2007, wellness initiatives were found mainly in organizations with someone at the top that had a sound belief in the benefits of employees that are well. These organizations were few and far between. Now, it’s a different story. Many businesses are starting to take notice and are implementing some sort of wellness initiative. It might just be a yearly wellness related lunch and learn workshop, or a teambuilding day, but that is a start. The powerhouse companies are finding it hard to ignore that employees are now seeking out companies with great benefit programs that include in-house wellness initiatives. If you want the best people, you need to invest in them. The strong government backing that is now in place for wellness in the workplace is impressive. Fantastic campaigns like Healthy U Alberta and information and awareness promotion from Alberta Health Services and the Canadian Centre for Occupational Health and Safety are lending to the legitimacy of this topic. Across Canada, many workplace wellness awareness initiatives that are funded by different levels of government are in place. This is also true for many countries around the world. Australia, the UK, and a great number of other countries do a fantastic job at providing government information to promote wellness in the workplace. Wellness in the workplace isn’t going anywhere. It is important for the health of individuals, workplaces, and our society as a whole. Winter is a challenging time to stick to a fitness routine, and not just because of the weather. Aside from the ice, slush, snow, and far fewer hours of daylight, you juggle your workouts with holiday and family commitments. Itâ&#x20AC;&#x2122;s easy to let things slide. Below youâ&#x20AC;&#x2122;ll find some strategies to help keep you fit until spring, when daylight hours and temperatures are more agreeable. Exercise with a friend to help you get out the door, even if it’s once a week: it’s harder to blow off a workout if you know someone is waiting for you. . . and safer once you get out there. Before you head out, move around indoors enough to get the blood flowing and gradually raise the heart rate without breaking a sweat. Run in place, walk up and down the stairs, do some jumping jacks, use a jump rope — whatever it takes to get your heart beating faster. The biggest health hazard outdoor fitness enthusiasts face in the winter is hypothermia. Hypothermia strikes when your body loses more heat than it can produce. Depending on the severity, hypothermia can cause mild to violent shivering, numbness, a lack of coordination, confusion, and, in extreme cases, death. Dampness, either from precipitation or sweat, greatly increases your risk of hypothermia. To stay dry, wear water- and wind-proof materials that shield you from the elements, and base layers that aren’t too bulky beneath outer layers to wick sweat away from the body. A base layer made from wool fibres, like the MEC Merino T2 Zip Hoodie (Men’s and Women’s; $89), absorbs moisture vapour generated between your skin and the fabric as you sweat, but keeps you warmer than cotton when wet. The hoodie is also another layer which you can use to keep your head warm. Layer up with a jacket that has the properties of both a fleecy mid-layer to keep you warm and a nylon shell to protect you from snow and wind, like the MEC Nitro Thermal Run Jacket (Men’s and Women’s; $85). A hood provides extra coverage for your head and ears, and reflective accents add visibility. Hidden thumb loops are a bonus: they extend the sleeves over your arms and keep your hands warm. Remember to shed your jacket if you feel yourself warming up a lot. Put it back on after you cool down, if conditions worsen, or if you need to slow down your workout. Compared with the vast array of colourful shirts and jackets, cold-weather running bottoms are often a dull black. What pants lack in colour, though, they make up for with improvements in technical fabrications so you can make the best of your winter workout. Consider the Nike Element Thermal Pant (Men’s and Women’s; $80): made from a blend of polyester and spandex, these pants are designed to wick sweat away without absorbing it, so you stay warm as you move. Ankle zips with a reflective trim help keep you visible. The risk of frostbite on your ears and hands is low so long as you are covered up, dry, and moving. Something as small, lightweight, and seemingly simple like a hat and gloves can make all the difference during a winter workout. The most important part of your body to keep dry and warm is your head, of course: approximately fifty to eighty percent of body heat is lost through the head. Wet hair, like wet clothing, dissipates heat much more rapidly than dry hair and dry clothing. Damp, sweaty hats further reduce the insulation they provide when they begin to freeze. Keep the heat from escaping and the tips of your ears from freezing with a hat like the Halti Elite Beanie (Unisex; $32). A dry hat will let you run all winter long. Pick a pair of insulated gloves like the Nike Element Thermal Run Gloves (Men’s and Women’s; $29). If your hands start to feel numb, warm them as soon as possible as this is an early sign of frostbite. Don’t blow into your gloves for warmth: your breath is moist, and moisture only makes you feel colder. Instead, stick your hands into your jacket pockets or under your armpits, or simply head indoors. Keep also your feet frostbite-free by wearing moisture-wicking socks. Socks made from merino wool won’t make your feet feel itchy and will keep them warm even as they sweat. Even better, a double layer sock like the WrightSock Merino Stride 1/4 Socks (Unisex; $13.50) will not only keep your feet as dry and warm as possible, but reduce foot friction and the chance of forming blisters: the layers of each sock will rub against each other instead of your foot. With traction comes confidence in your winter workout. Try the equivalent of “snow tires” for your feet: the Yaktrax Running Ice Traction Device (Unisex; $39) is a rubber web with cleats or coils you slip over the sole of your shoe to improve your traction as you workout on snow and ice. Even in the winter, you’re still susceptible to the sun’s harmful UV rays. If you’re fortunate enough to workout during the few winter daylight hours, wear sunscreen to protect against developing skin cancer and to keep your skin looking younger for much longer. If you wear moisturizer in the winter to counteract the season’s dry air, put it on after you apply sunscreen or after your post-workout shower. Aloe Up Pro SPF 30 Lotion ($5.80) is a non-greasy, dry sunscreen that shouldn’t run into your eyes or sting while you work up a sweat. Sunglasses not only protect your sight from UVA and UVB damage, but they also offer protection from debris and biting winds. Lenses with yellow-orange tint increase contrast in winter’s hazy, foggy and low-light conditions. Find a pair like the MEC Asmita Photochromic Sunglasses (Unisex; $60) that has adjustable nose pads and wire core temples to create the most comfortable fit. Even when it’s cold, you still lose water through sweat. Stay hydrated with a minimalist bottle that fits in your hand and features a quick-pull sports cap for convenient hydration like the Nike Storm 170mL Handheld Water Bottle ($18). MEC (Mountain Equipment Co-op) exists to inspire and enable everyone to lead active outdoor lifestyles. All products are available at MEC Edmonton (12328 - 102 Avenue NW). Modern basics for a sustainable future. We believe that fitness apparel should be a combination of form and function which is why weâ&#x20AC;&#x2122;ve partnered with Alternative Apparel to bring you the highest quality, fashion forward lifestyle brand. Designed from the fabric up, our styles offer simply designed, eco-friendly clothing for everyday wear. Using sustainable practices, all of our clothing using low-impact dyes, organic cotton and natural enzymes for finishing. Get Your Broâ&#x20AC;&#x2122;s Together For Brospin What an awesome way to get a bunch of broâ&#x20AC;&#x2122;s together and get a great workout (with a few snacks and beers afterwards). Brospin happened on November 29 at Spinunity in Sherwood Park and YEG Fitness was there to capture the event and the afterparty. Check their website for future Brospin events in the New Year. It’s been a busy three months for our Fitness Challenge participants Bryanna Kumpula and Asha Marshall. They’ve been working on their health and fitness and we caught up with them this month to see how their journey has been going. Bryanna Kumpula My initial goals for the 90 days were to complete the Nike Women’s Half Marathon in San Francisco in October, start running consistently 3 times a week, and I aimed to lose 25lbs. It has been a fun, and challenging couple of months. There were lots of things accomplished, and many to keep working on. Milestones – Progress Made I completed the 5km race in the Edmonton marathon, 5km Neon run, completed the 10km Melissa’s Road Race, and completed the 8km Banff Night Race. I’ve been running most days but now that it is cold out, I have moved indoors. At first, I was trying to use a treadmill, which just doesn’t work for me, but I have found that I quite like running around the track at Millennium Place. My weight is down 10lbs and I’m already planning for the New Year. I have signed up for the 5km resolution run on January 1, and the Walt Disneyworld Half marathon on January 10. One thing that has been really useful is the Nike Running App challenges. This allowed a few of us to set up distance challenges, which was a good motivator to get out and get more km’s done. Issues/Challenges One of my goals was to run in the San Francisco Half marathon, however due to work commitments I was unable to go. I have signed up for and will be taking the time off from work to complete the Disney Half Marathon in Orlando this January. The biggest challenge for me is not necessarily getting active, but trying to have a more balanced diet. When work or life gets crazy, my response is to find comfort in food. Figuring out how to balance everything is an ongoing challenge. Set Realistic Goals Your fitness program should fit in with your lifestyle. This means you may head to the gym three days a week, then spend weekends out riding bikes with your family, ice skating, working in your garden, dancing, or playing sports with friends. Remember that physical fitness is not just about how many minutes you log on the treadmill, it’s a lifestyle that you can tailor to your unique needs and interests. Asha Marshall 3 months has come and gone quickly! 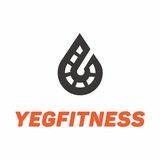 My initial goals were to become strong and happy having achieved a high level of fitness moving forward as a member of the YEG fitness community. I have been teaching yoga and hip hop dance in many of Edmonton’s schools and feel that it helped me toward my goal of motivating youth. Entering a fitness competition is still on my to do list. We’ll see what 2015 brings. Milestones - progress made I was happy to have noticed a drop in my weight and an increase in muscle tone and definition. I dropped to 154 lbs and noticed a major difference in technique lifting and with overall confidence working my way around the gym. I’ve been fortunate to have sponsorship from Nichelle Laus in Toronto who will be instrumental in my continued success I’m sure. Events/Challenges I had no major test challenges really come up within the last 3 months and instead, took each week as it came. I went to November Project as much as possible and lifted heavy at the gym with my most beastly of friends who wanted to help me reach my fitness goals. Performance wise, I performed with my group, Fly Girlz, in the Spirit of Edmonton room at the Grey Cup festival in Vancouver and was motivated to look fit in my costumes while performing with energy and increased stamina. It will be hard to get past Christmas season but January and New Year goals will hopefully keep me on a great track. Issues/Obstacles My busy and erratic schedule can be an obstacle when it comes to establishing a consistent workout routine but my work being active helped with forced skipped days. Overall, I’m happy with my increased knowledge and even more, with my newfound acquired knowledge as it will surely be the power that I’ll need to keep going. Stop making our houses the default place to play Going outside is the universal solution for sibling fighting, sore tummies, boredom, and grilled cheese sandwiches cut the wrong way. Outdoors seems to help kids naturally sort out their perceived world-ending issues...and just play. Water guns for summer, sleds or GT racers for winter, and an outside version of their favorite inside toy make for fun incentives. I recently came across a blog post of 30 magical photos of children playing around the world. In EVERY single photo, the children were outside. Based purely on my observations, kids run/hop/climb/crawl more and employ their imaginations better when they’re not bounded by walls and a roof. watching and cheering, we are jetting to yoga, spin, adult rec hockey, and 5 km with our running club. While integral to our individual health and wellness, these activities are exactly that: individual. I believe family wellness includes activities involving everyone. The sidelines are empty of watchers and cheerers. Ice fishing, snow shoeing, and skating (Hawrelak Park!) are great choices for winter. Within an hour of Edmonton, there are several downhill ski options perfect for all abilities. For those inevitable minus 30 degree days, try an indoor climbing gym or family swim. This summer, register for a family run or obstacle course race (there’s your teaser for my article in the next edition of YEG Fitness). It’s true that our DNA has us hardwired for certain traits and tendencies. It’s also true that environment and experience play a part. Some suggest the DNA to environment split is about 50:50. As parents, we are role models for our kids and have a direct impact on the environment 50. We all have ‘on the couch with a Costco bag of chocolate almonds’ moments. But in general, if your health and wellness goals are a natural and everyday part of your lifestyle, they’ll become a natural part of your kids’ lives too. My boys have grown to appreciate and respect fitness. They know to wait for the beep on my interval timer signaling 10 seconds of rest between exercises to holler ‘watch me mom!’. The amount of times I’ve reminded them of this is likely approaching 100. And I’m okay if that number reaches 1000 or more. It means I’m not sacrificing my fitness goals, and in doing so, am modeling the importance of wellness to my kids. Make it Fit Your Family Every family is unique. A Stop Doing list for one family likely won’t fit another family the same way. And by FIT, I mean both the wellness AND suitability definitions of the word. Add what works for your family’s age range, fitness levels, interests, and location. Be flexible and adapt it to meet your family’s changing dynamics over time. Most importantly, allow your list to guide your lifestyle, not just your day to day activities. And when necessary, use it as a handy go-to response when a tipped over stool punches a hole in your drywall. Questions? Comments? Have some Stop Doing ideas to share? Connect with me on Twitter at @nessa_pearl or vanessa@pearlcommunications.ca. Grass Roots Volley All-Star Extravaganza 24 of the top high school male athletes from across Alberta converged at the Saville Community Sports Centre on December 6 to participate in training sessions and an All-Star Game. Presented by Brock Davidiuk from Grass Roots Volley and Terry Danyluk, head coach of the U of A Golden Bears Volleyball Team, this event showcased the talents of the provinces best high school volleyball players. Hire a Personal Trainer or Get a Workout Buddy The beauty of having a personal trainer is not only their expertise in which exercises you need to get the best results … it’s the motivation factor, too. When you set appointments with a trainer, you suddenly have someone to hold you accountable, making it much less likely that you’ll skip out on your workout at the last minute (not to mention that you’ve invested money in it, too). Keep Your Eyes on the Prize Working out is, well, work, and there will be times when youâ&#x20AC;&#x2122;d rather sink into your couch and put your feet up instead of heading to the gym. For these times when motivation is lacking, remember why youâ&#x20AC;&#x2122;ve committed to your exercise program in the first place: your health. Return: Pull body towards anchor point by pulling elbows and shoulders back at 45 degrees, pulling the body towards the anchor.